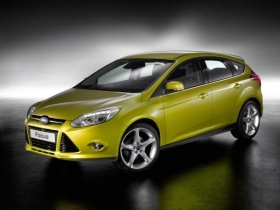 When it launches in the U.S. and Europe in January, the new Focus will be the first One Ford car. MUNICH -- Jens Ludmann, chief program engineer for Ford Motor Co.'s new Focus, is quitting the automaker to head a German-based maker of luxury yachts. Ludmann led a team at Ford's European base in Merkenich, near Cologne, Germany, that developed the Focus, the first car from CEO Alan Mulally's global One Ford strategy and flagship of the company's new range of global C-segment products. The German native, who joined Ford in 2000, will become CEO of Bavaria Yachtbau GmbH, effective Aug. 15. During his 10 years at Ford, Ludmann oversaw from concept to market launch the development of the S-Max large minivan, which was named European Car of the Year in 2007, and the Mondeo mid-sized sedan. Bavaria Yachtbau said Ludmann was chosen to lead the company because he has demonstrated an effective ability to develop successful and profitable products that address customers' needs in market segments. Ludmann "has world class management experience gained in large automotive OEM which we believe has many similarities with a mass production shipyard," a company statement said. Bavaria Yachtbau is one of Europe's largest makers of sailing and motor yachts. Based in Giebelstadt, northern Bavaria, it employs 550 people and manufactures yachts between 27 feet and 55 feet in length. Ludmann said in a statement that he is looking forward to bringing fresh and exciting products to the market that are relevant to a wider audience of boating enthusiasts. After developing award-winning cars, Ludmann aims to bring 'fresh and exciting products' to the sailing market. 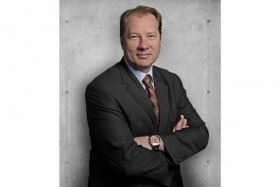 Ludmann joined Ford in 2000 after serving as managing director of a research engineering firm that developed early hybrid vehicles, composite materials and other advanced technologies.